Laid down, 22 December 1965, at Marinette Marine Corp, Marinette, WI. 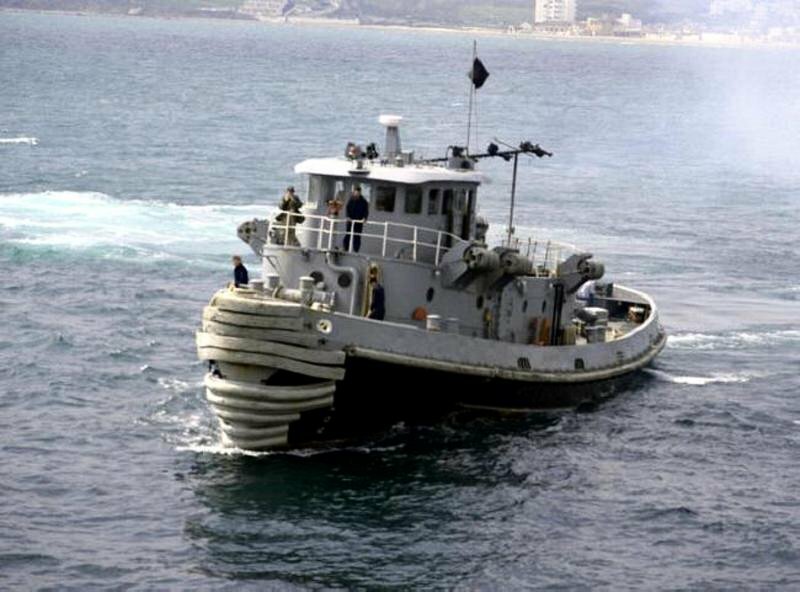 85k Tonkawa (YTB-786) underway, date and location unknown. 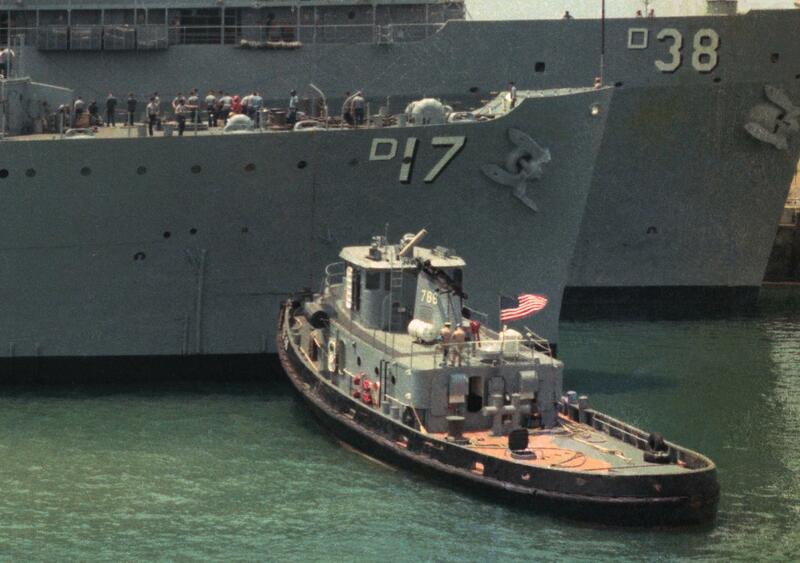 221k Tonkawa (YTB-786) alongside USS Dixie (AD-17) at Naval Station Rota Spain, 3 July 1976. Note USS Puget Sound (AD-38) in background. 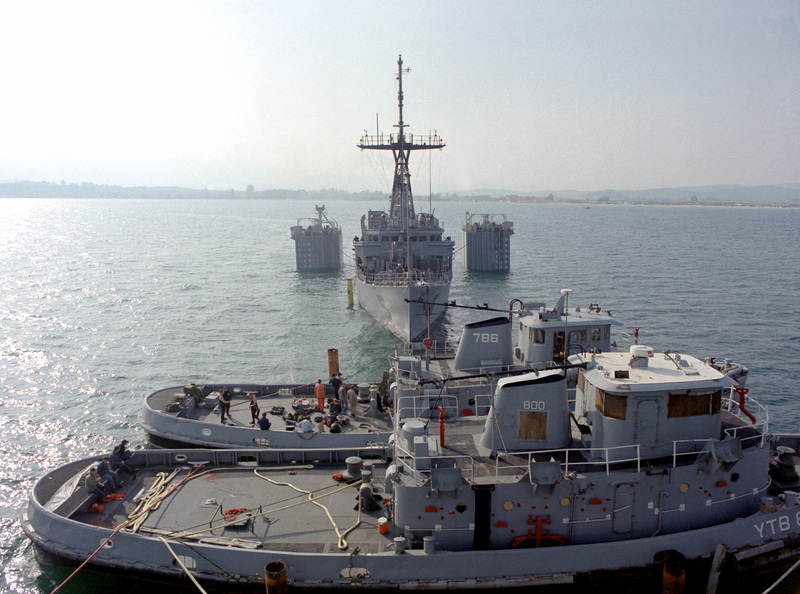 1796k After being positioned over the submerged deck of the Dutch heavy lift ship Mighty Servant I at Algeciras, Spain, 1 April 1992, Tonkawa (YTB-786) and Eufaula (YTB-800), and the mine countermeasures ship USS Guardian (MCM-5) wait to be raised out of the water. The Mighty Servant I will transport the tugs and the Guardian back to the United States.